Identify the doctrine (reading a scripture): Ask the children to tell about a time when their parents warned them about danger. Ask them why their parents would warn them. Explain that Heavenly Father loves us and warns us of danger through His prophets. Ask a child to read Doctrine and Covenants 89:4, and have the children listen for what this warning is called. Explain that the Prophet Joseph Smith received this warning, the Word of Wisdom, as a revelation from God. Encourage understanding (reading scriptures): Before Primary, tape the following scripture references to the bottom of different chairs: D&C 89:7, D&C 89:8, D&C 89:9, D&C 89:10, D&C 89:12, D&C 89:16. Explain that Heavenly Father gave us our physical bodies and He wants us to take care of them; He has given us the Word of Wisdom to help us know what things will help our bodies and what things will hurt them. Ask the children to look under their chairs to find the scripture references. Invite each child who finds a reference to read the scripture out loud. Discuss what each verse means. Clarify that “strong drinks” are alcohol and “hot drinks” are coffee and tea. Encourage application (playing a game): Place in a bag some pictures of various foods, drinks, and other items that are either good or bad for the body. Invite a child to select a picture from the bag and show it to the other children. Ask the children to open their mouths if the item is good or to cover their mouths if the item is bad. Read Doctrine and Covenants 89:18–21 and discuss the blessings we receive when we follow the prophet’s counsel to live the Word of Wisdom. For my May 2018 Week 4 Sharing Time Idea I actually have 3 different Word of Wisdom Sharing Time Ideas that you can choose from. Yay! They’re all easy to prepare and are sure to be a hit. As always, pray to know which idea fits the needs of your Primary (it might not even be one that I share). I hope you find something that you can use to teach the children about the Word of Wisdom. Enjoy! 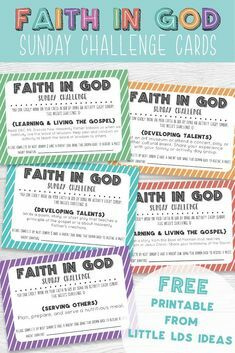 This idea was one of the very first ideas that I shared here on Little LDS Ideas (you can take a look at the original post, HERE! ), and I actually shared it last year for a similar topic, here. I remember when I used this game for my own Sharing Time and it was so much fun. I called it ‘LDS Squares’, and I think the name is perfect, so I’m keeping it. The game is based off of a popular TV game show, Hollywood Squares which isn’t on the air anymore (I don’t think). Essentially, you are playing tic-tac-toe, but instead of the usual tic-tac-toe grid with x’s and o’s you use people to represent the x’s and o’s. 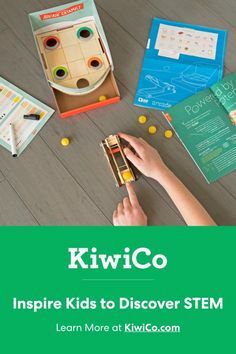 This is such a fun activity that everyone will enjoy. First of all, you have to write up some questions. Lucky for you, I found some on Sugardoodle for this exact same game! You can grab the download for the questions, HERE. If you need more questions, just make some up. Any kinds of question, multiple choice, true or false, I also had some where I read a scripture and asked a question about that scripture that they had to answer. You will need to find 9 adults to help you out, they will be your tic-tac-toe grid. This is where you can invite some parents, primary teachers, or the Bishopric in to help. The children really enjoyed having adults come in to play. The adults will be making your tic-tac-toe grid, so you need to have them sit in 3 rows of 3. Before my Sharing Time I made big name tags for each of the 9 adults to wear around their necks. And I also made each adult one ‘X’ sign and one ‘O’ sign. I have included printables for the ‘X’ and ‘O’ signs to help making preparation a little easier for you. The children will be in two teams and will be asked a question. The child who was asked the question will then have to choose an adult to answer the question for them. This is where it gets fun. The adult can choose to answer it correctly or give a fake answer. The child then needs to decide whether they agree or disagree with the adult. If they choose correctly, they get the square and their team’s mark (X or O) will go in that spot. 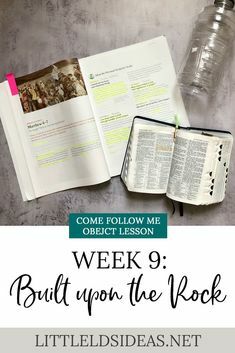 You can read more detailed instructions over on the post that I shared last year, as well as find the printables I shared. Just click the link below to visit that post (It’s the second idea that I shared). Click HERE to read my LDS Squares Sharing Time Idea. For my second Word of Wisdom Sharing Time Idea I am sharing another idea that I shared last year, and one that you have already heard about. I thought it would be fun to teach the children about the Word of Wisdom by letting the children chose foods that are healthy and unhealthy. In addition to choosing foods, I thought the children would enjoy actually feeding the healthy foods to someone. Since you probably don’t want to invite an actual person to come in and have the children feed them, I thought a large poster-sized printable would do the trick. The children are going to be picking different foods out of a bag, and then decide whether they’re good for us or bad. You will have ‘helpers’ (my Wayne/Wanda posters) that they will be feeding the healthy foods to. When an unhealthy food is chosen, they will be placing that in a garbage can. Before Primary, you will need to find some pictures of different food items (good and bad). 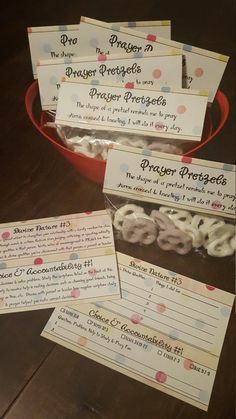 I didn’t have time to create these, but here are some from a few different amazing ladies: Word of Wisdom Game from Latter-Day Chatter (pictured below), Word of Wisdom Cards from Susan Fitch, and Food pictures from A Year of FHE. You will also need to print out my Word of Wisdom Wanda or Wayne posters. 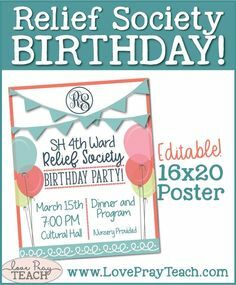 There are 2 different sizes for you: 16″ X 20″ posters OR a file that you can print onto 4 sheets of paper and then cut and piece together onto a poster-board. I also included a label for your brown paper bag. Have the children take turns taking pictures from the grocery bag. If the item in the picture is good for us, have a child feed Wanda/Wayne. If the item is bad, have the child throw it away. You could go on to explain why it is bad for us. You may need to explain that some food is ok to eat, but unhealthy when eaten a lot. Continue playing until all the foods have been chosen from the bag. 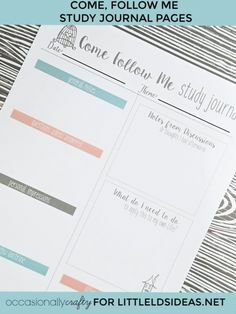 You can read more details for my Word of Wisdom Sharing Time Idea and find the free printables for the posters using the link below. Click HERE to print my Word of Wisdom Wanda/Wayne posters! “Show a picture of a snare/trap and explain that hunters sometimes use snares to catch animals and birds. Hunters set snares on a trail or in a place where small animals or birds come for water. Sometimes a snare is attached to a tree limb so that it hangs just above the trail, where an animal will run into it. Other times a snare is placed on the ground and covered with leaves so it cannot be easily seen. A lure such as food may be placed in or near the snare to tempt an unsuspecting animal or bird to step into the snare. The snare catches and holds the animal in such a way that it cannot easily free itself. For this idea, you will be playing a matching game, but the children will have to beware of “satan’s snares”. Before Primary, create some memory type cards using several pictures of foods. 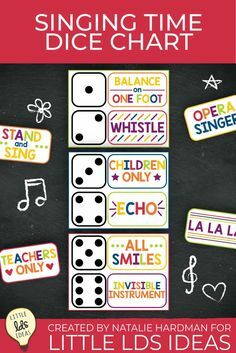 I don’t have any printables to share for this game, sorry, but just scroll up to my previous idea and you will see 3 links to some great resources (like in the picture below) that you can use. You will also need a few cards with snares on them. Here is the snare/trap that I used for my lesson. Make sure that you have two sets of each food card, and at least 2-3 snare cards. Share the message of snares with the children. Compare the snare to unhealthful practices such as smoking or drinking alcohol. Have the children study the advertisements to discover some of the lures people use to try to catch us in Satan’s snares. For example, advertisers use pictures of attractive people having fun to try to make us think that smoking or drinking alcohol will make us beautiful and happy. These things will not make us happier or more beautiful, but if we start using these products we will be caught in the snare and may become addicted. Explain that people who are addicted to unhealthful products such as tobacco, alcohol, or other drugs have difficulty giving them up, even when they know the products are bad for their bodies and their spirits. If we have friends or family members who need to stop using these things, we can pray for them, encourage them, and set good examples for them. Tell the children that they are going to be playing a matching game to search for things that are good for us, but they have to beware of Satan’s Snares. The children will then take turns flipping over two cards to find the match. When a match is found you could read a scripture about that particular food/item. You could also incorporate my Word of Wisdom Wanda/Wayne as well and have the child decide if it is an item that they should use (feed it to Wanda/Wayne) or something that they should avoid (trash can). When a snare is flipped over you could shuffle all the cards around or you could flip a match back over. To close, discuss the blessings we receive when we follow the prophet’s counsel to live the Word of Wisdom. I hope you enjoy my Word of Wisdom Sharing Time Idea that I have shared for this week, and are able to incorporate something into your lesson. 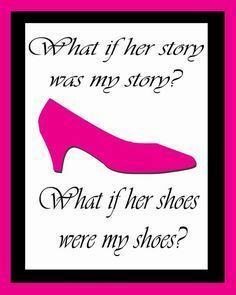 I would love to hear if you do, so leave a comment letting me know. If you do use an idea, I’d also love to see, so snap a picture and tag me on Instagram (@littleldsideas or #littleldsideas).